Welcome to Wyreema! This rural town sits about 15km’s west of Toowoomba on Queensland’s sprawling Darling Downs. The community hall remains as it ever has been – run by the community, for the community. If the walls of the Wyreema Hall could talk, they would tell of countless romances, business deals and the shaping of a community. 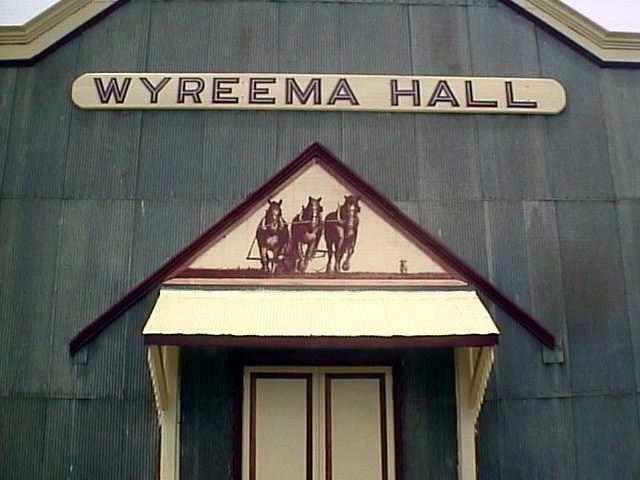 Wyreema Hall was built 26th March 1911. In the 106 years since the hall was constructed, the Wyreema district has morphed from a dairy farming community into a thriving urban community. 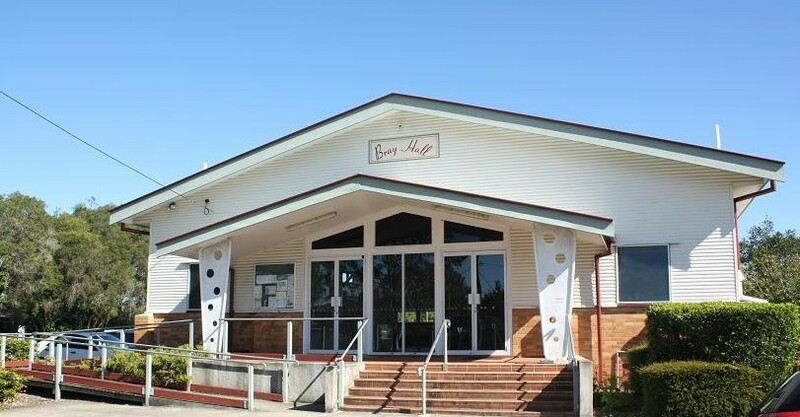 Throughout this time, the Wyreema Community Hall has played an integral role in the town’s history as the main meeting place. Over the last 106 years, many improvements have been made to the original corrugated iron hall. As well as the replacement of the dance floor, a kitchen, disabled access, toilets and a supper area have all been added for the benefit of the Wyreema community. Currently host to many events in Wyreema including spring fairs, market days and community celebrations, Wyreema Hall is celebrating its first Small Halls show by kicking off the Summer Tour 2017. Petrie, on the North Pine River, is 25 km north of Brisbane. The origin of the township can be traced to the late 1860s when a coach service between Brisbane and Gympie stopped at Tom Petrie’s Murrumba homestead (built 1864). Petrie opened a hostelry in 1870 and official recognition of the locality came in 1872 when a post office was opened. The place was known as North Pine, the name continuing until 1911, the year after the death of Tom Petrie. Somewhere between a dreamy ocean and an endless green valley lies Austinville, the village where every visitor blinks twice. One of the Gold Coast’s oldest suburbs, Austinville was established following the worst years of the Great Depression. Originally a banana farming area intended to relieve unemployment, the area now contains a section of the World Heritage-listed Springbrook National Park. Now, locals live in a secluded village nestled between balmy Mudgeeraba and the lush green surrounds of Springbrook. Local and visitors alike are spoilt for choice when feeling leisurely – hiking under waterfalls, picnicking on the mountain side, exploring rock pools or gazing up at the suddenly-multiplied stars are all options in this mountain retreat. Featuring Leopold’s Treat as support. BYO Grog – None on Sale. No need to bring chair. Event is being held indoors. 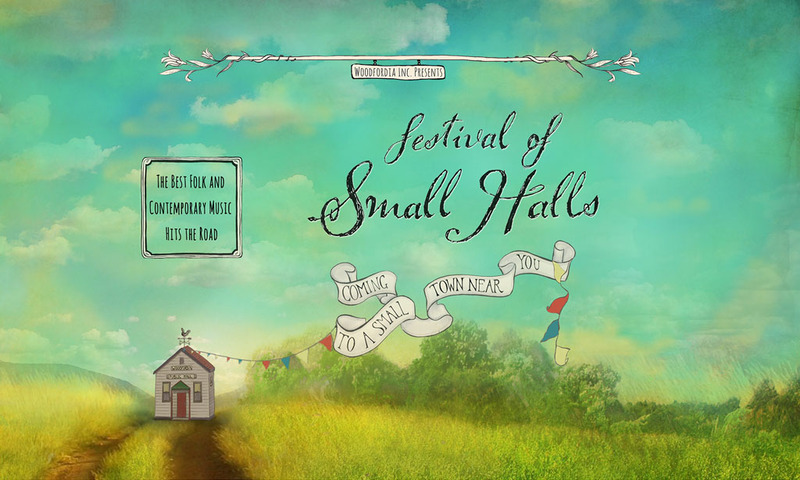 The Channon Hall celebrates its 110th anniversary this November 2017 and to celebrate we have partnered with the Festival of Small Halls. The first hall was opened in November 1907 and it quickly became the central focus for the social life of the neighbouring district. Unfortunately this hall was destroyed by fire in 1911 after which, with the aid of insurance, a new hall was built and opened in 1912. This hall was then moved by bullock team across Terania Creek to its present location in the 1920’s. 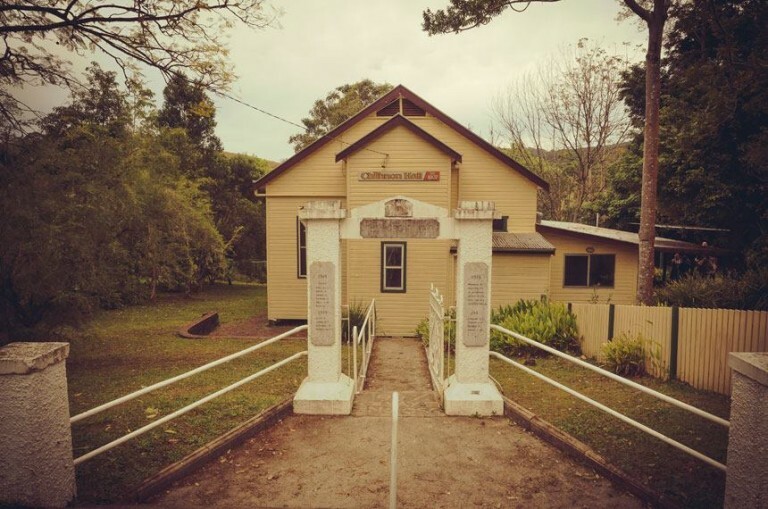 In the 1970’s The Channon Public Hall hosted one of Australia’s first successful anti-logging campaigns which led to a landmark decision to end rainforest logging in New South Wales. The Hall has continued to play a role in environmental issues such as the anti-Coal Seam Gas movement. 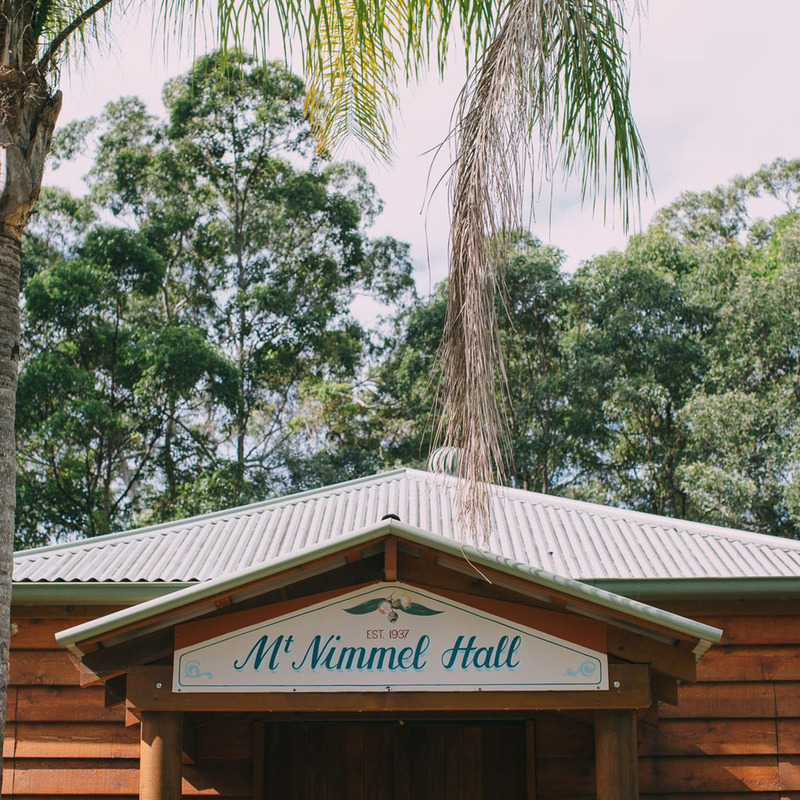 The Channon Public Hall was the original location of the now internationally renowned Sunday market known as The Channon Sunday Craft Market, the longest running market in the NSW North Coast Region. The Channon Hall stands on land traditionally owned by the Bunjalung people.